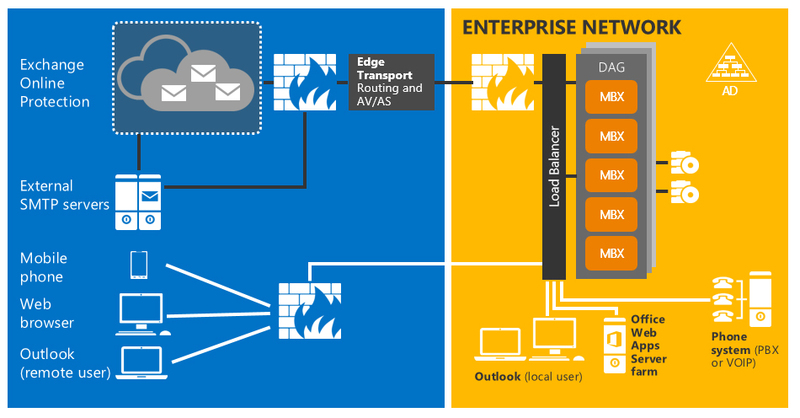 Still using Microsoft Exchange Server 2013? While many companies are happy with this signature product from Microsoft, others have realized that the growing challenges faced by businesses have made it critical to upgrade to the newest version, Microsoft Exchange Server 2016. But there may be some organizations that shouldn’t make the leap because some software they use will not work as well or at all with Micr osoft Exchange Server 2016. Let’s take a look at the latest features and changes offered in Microsoft Exchange Server 2016 along with the features that have already been deprecated or that are scheduled to become obsolete in the future. In Microsoft Exchange Server 2016, client access service (CAS) has been incorporated in the mail server role and the CAS server role has been deprecated. 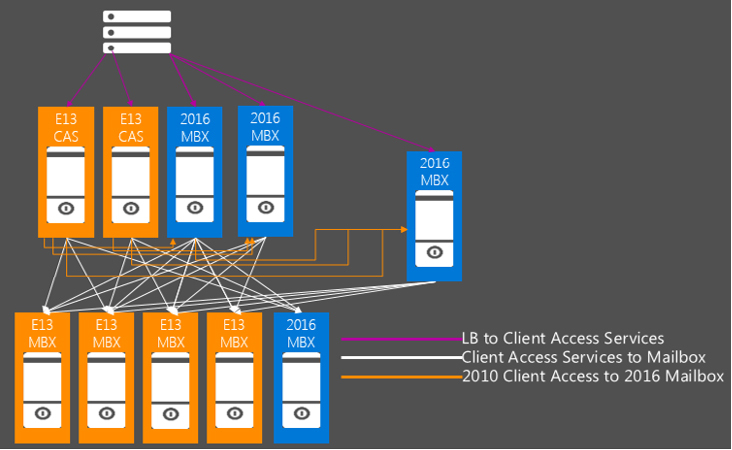 Client access service will be provided by mailbox server in Microsoft Exchange Server 2016 architecture. 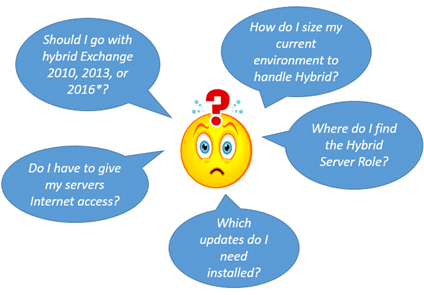 You cannot configure a standalone CAS server in Microsoft Exchange 2016 Server as you could in previous versions of Microsoft Exchange. Outlook on the Web (previously known as Outlook web app) is a web-based email client that allows users to interact with their mailboxes through almost any web browser. This feature puts the power of mobile computing in the hands of users, who can perform message-related tasks from anywhere. Outlook on the Web provides users full control over the calendars, contacts, voice mail, instant messaging, and SMS on the go. Microsoft has changed only the name of the service client; no new feature enhancements have been reported. Modern authentication is a Microsoft Active Directory Authentication Library (ADAL)-based solution that takes advantage of the Open Authentication (OpenAuth) standard to improve security. This authentication system grants the user access to sensitive information by encapsulating it and forming a package called a token for secure communication of authenticated information. Microsoft has added support of this technology to Outlook in Microsoft Exchange 2016. MAPI over HTTP is now the default protocol for Outlook to access Exchange. Microsoft’s proprietary protocol MAPI (Messaging Application Programming Interface) allows you to send emails within the Windows application environment. The main purpose of MAPI is to carry attached files such as spreadsheets, word processor and pdf files. On the other hand, HTTP (Hyper Text Transfer Protocol) is a protocol that communicates web pages and data between the Internet and the clients. You can implement MAPI over HTTP for your whole organization or apply it at the individual mailbox level. Microsoft offers tight integration between OneDrive (formerly SkyDrive) sharing and Outlook WebApp Server. An email recipient can click a link and can be taken to a shared resource on OneDrive, where different users can collaborate on files in real time. An important feature of this technology is apparent when you have large attachment files and the Outlook email attachment size limit is an issue. Now, the file can be uploaded to OneDrive within the email user interface and the email recipient can have a link on the other side and seamlessly download the attached file. The Hybrid Configuration Wizard is a tool provided in Microsoft Exchange Servers that allows users to create and configure hybrid deployments in the Microsoft Exchange 2016 network infrastructure. Now, you can extend this experience from your on-premises Exchange Server to the cloud, because the Hybrid Configuration Wizard makes it possible to create and configure hybrid deployments in the cloud. Data-loss prevention (DLP) is an important feature of Microsoft Exchange Servers that allows the administrator to control the transfer of data according to the sensitivity of it. Data-loss prevention makes managing data easier without hindering productivity of the workers. In Microsoft Exchange 2013, data-loss prevention included a pack of 51 rules for the most common sensitive information types. In Microsoft Exchange 2016, the sensitive information types have been increased to 80. Transport rules were introduced in Microsoft Exchange 2007. This feature reads specific conditions in messages and takes predetermined actions on them when these messages are in transit. The Microsoft Exchange 2016 transport rules have been enhanced with new conditions and actions. The public folder in Microsoft Exchange Server 2016 brings support for In-Place eDiscovery and In-Place Hold. The public folder in the Microsoft Exchange Server can share public information with other users. In-place eDiscovery allows users to search through all data on all mailboxes. It also allows search results to be copied in the discovery mailbox after preview. In-place hold allows the preservation of all information including emails that fulfill specified query parameters. Messages can be protected from deletion, modification, and tampering. The information can be preserved indefinitely or for a determined period of time. The new compliance search feature in Microsoft Exchange 2016 allows you to search through all mailboxes in the Exchange organization, unlike in-place eDiscovery that allows you to search only 10,000 mailboxes at a time. Compliance search has removed the limit for searching mailboxes. The compliance search can be used in combination of in-place eDiscovery. Support for Outlook 2007: Microsoft Outlook 2007 will no longer work with Microsoft Exchange 2016. If your organization insists on using Outlook 2007, you should stick with Microsoft Exchange Server 2013. Client Access Server role: As mentioned earlier, the CAS role has been incorporated in mail server role. In Microsoft Exchange Server 2016, there is no client access server. Support for MAPI/CDO connectivity: MAPI/CDO is an application programing interface that is being deprecated in Microsoft Exchange Server 2016. Support for Outlook for MAC 2008 EWS Edition: Support for Microsoft Outlook for MAC 2008 has been deprecated in Microsoft Exchange 2016. Apple OS OSX Leopard and later can be used with Exchange Web Server (EWS) as a connection to your Exchange server using Outlook for MAC 2008. The following features are still available in Microsoft Exchange 2016, but they are in a process of becoming obsolete. Third-party replication APIs: The replication API that enables organizations to utilize third-party synchronous replication solutions instead of built-in continuous replication features will be deprecated in future versions of Microsoft Exchange Server. RPC over HTTP: Remote procedure call over Hyper Text Transfer Protocol, which allows clients to connect securely to Microsoft Exchange Server through the Internet without the need for Virtual Private Network (VPN), will also be deprecated in future versions of Microsoft Exchange Server. Cluster administrative access point: Cluster administrative access point (CAAP), which is used to perform management tasks such as backup and monitoring, will also be unavailable in future versions of Microsoft Exchange Server. The best part of Microsoft Exchange 2016 is that it's in the cloud. Microsoft believes that the email service in an organization is to be the backbone of business communication." Microsoft Exchange 2016 truly fits into perspective as worker habits evolved from being communication-centric to collaboration oriented. The new features of Microsoft Exchange 2016 are geared towards helping enterprises manage emails and calendars with greater efficiency than Microsoft Exchange 2013 while further developing and building upon popular features from its earlier versions. 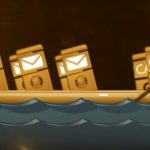 Home » MS Exchange Server » Is Microsoft Exchange Server 2016 right for you?